When I began boating as a kid, my 12-foot rowboat fulfilled my ultimate dreams. As I grew older, my ultimate dreams changed a bit. Across the river was not quite as far as I wanted to go. I&apos;d always wanted to cruise, but the concept had grown from overnight trips with a tent on the bow to a boat that could take me to far distances over weekends, weeks, months and maybe even longer. I was reading the boating magazine stories about the cruising heroes of the time, some of whom did circumnavigations. As a rule, they were very tough people. They endured a lack of creature comforts in exchange for their adventures, but they didn&apos;t seem to care. They were young or rapidly on their way to a premature old age. Some seldom bathed, except overboard, and many led their lives like olden-day gypsies. Many lived on the edge with no backup plan if serious health problems occurred, no insurance and few spare funds for emergency repairs. They were always in search of that fabled "cruising kitty," which they theoretically refilled with temporary jobs or "donations" yet was supposed to make their lifestyle possible. But they seemed happy. The boat was supposed to be small (so you could afford it), simple (so you could maintain it), and tough enough to sail over Niagara Falls (so you could sail through hurricanes). A lot of people liked to read about this type of boating, and a few even did it. We did it our own way. We moved aboard a 47-foot motorsailer in 1979 and began cruising thousands of miles a year. We brought our daughters home to the boat from the hospital where they were born. We lived aboard and cruised as a family until they moved ashore for college. We spent months at a time on the hook or under way, and we docked only to take on fuel. We made our own bread from flour ground from our store of wheat. We had a sprout "garden" aboard. We got our meat from spearing grouper and lobster and diving up conch. And we did all our maintenance. We lived very inexpensively. Nevertheless, we believed in creature comforts and safety for our family. So among the equipment we maintained was a watermaker, a 7-kW generator, a sailmaking sewing machine and wind generators, as well as the usual array of diesel engines, outboards, winches and windlasses, etc. We didn&apos;t sail around the world, but we loved our lifestyle and still do. I&apos;m writing this sitting on our 1975 vintage 53-foot motorsailer, Chez Nous. But it&apos;s a vastly different world now. There&apos;s this phenomenon called baby boomers. The term keeps popping up in all sorts of contexts. You can hardly read a news story without seeing some reference to it. I asked my wife, Mel, what it meant. She directed me to the Baby Boomers Headquarters website (www.bbhq.com), which says these folks were generally born between 1946 and 1964, that in 2011 they will turn 47 to 65 years old, and there are 75 million of them in the United States (29 percent of the population). The peak boomer birth years were 1952-57. Kathleen Casey-Kirschling, born one second after midnight Jan. 1, 1946, has been heralded as the first of America&apos;s baby boomers. 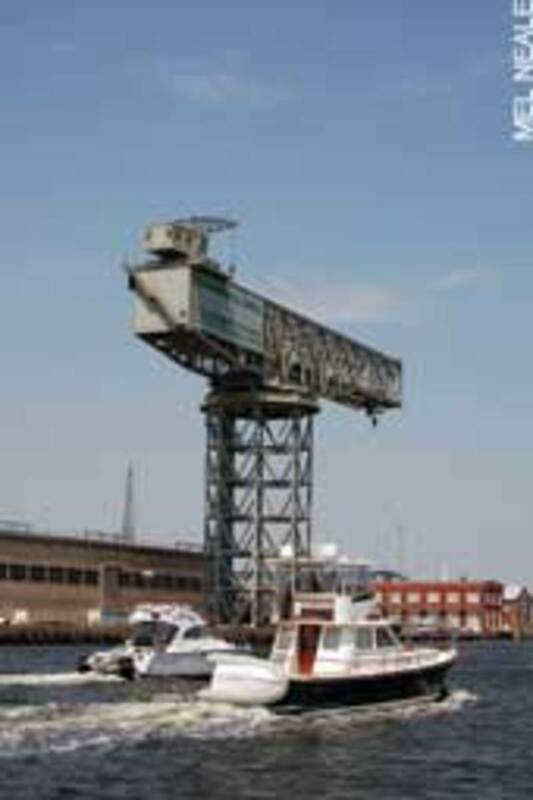 As reported in the November 2008 issue of Soundings, she and her husband bought a Grand Banks 42 as a retirement boat. Get the picture? There are a lot of them (us?) out there, and the savvy ones are thinking of getting into more serious boating and even retirement cruising. That means thinking about the kind of boat we want for that time in our lives and what we want to do with it. I can tell you from years and years of being out here on the water, sharing anchorages and marinas with many different people, that very few will want to sail through hurricanes or sail around the world. But a lot of us will think we do and then find out we made a very expensive mistake. We&apos;re more likely to think we do when we&apos;re younger, preparing for retirement, which includes buying that boat that&apos;ll take us through those years. Unfortunately, it&apos;s difficult to imagine at, say, age 45 what 20 years will do to our bodies, our psyches and our assets. For starters, few of us are as tough as we think we are. (And I&apos;m generally referring to the guys here because wives seem to have a far more accurate perception of how tough their husbands aren&apos;t.) Each year we see a new procession of boomer dream seekers (usually guys) take off down the East Coast, far out into the Atlantic, instead of safely in the Intracoastal Waterway. These trips may go well until the weather hits the fan. Then there is the ritual of pan-pans, maydays and Coast Guard helicopters pulling people off pitching boats, often putting a rescue swimmer in the water. The boats are found weeks or months later - just fine, thank you, if a little damaged. Even if you&apos;re very tough, you can&apos;t just sail away as easily as before. For example, the Bahamas, where we have spent many winters, now have far fewer beaches that aren&apos;t private, fewer safe all-weather anchorages because of private moorings and docks, and marina prices that&apos;ll eat through even a well-funded 401(k). In the United States, it&apos;s increasingly difficult to "hang out on the hook" for long periods of time. Anchoring restrictions in various forms have proliferated, and there is less access to shore from anchorages. In many areas around the world, there are increasing instances of piracy. Political unrest or political hostility has also made some former cruising destinations less desirable or even dangerous. It&apos;s very difficult to be on the water as inexpensively as in the past. What&apos;s a boomer to do? First, we need to decide who we are - not as a group but individually. Ask, "What kind of boating do I want to do?" 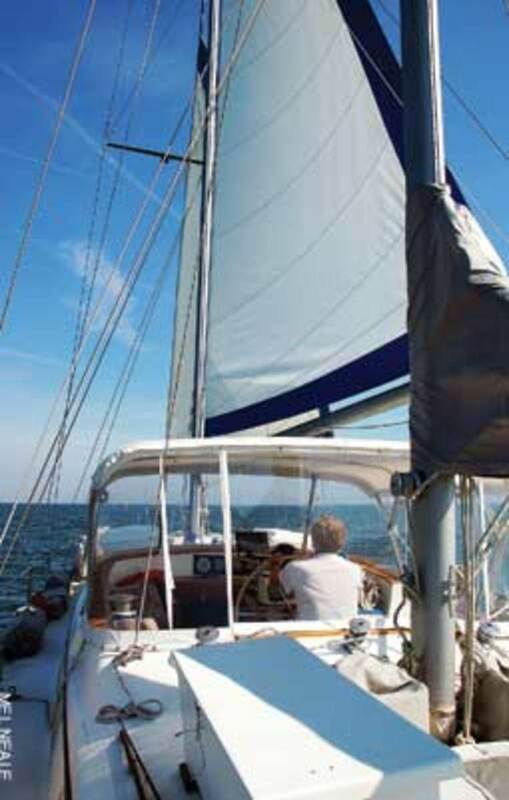 Many have glorified ideas of what retirement or near-retirement cruising must be. We&apos;ve all seen movies with tough-looking heroes standing on decks, bravely surviving storms at sea. Perhaps we don&apos;t think enough about the fact that the rain in the face comes from buckets and hoses and the wind in the hair from fans. Few of us have a clue about the awesome (and I use that word without its teenage-cool connotation) overwhelming power and sheer terror of a bad storm in the ocean. Very few of us can handle it when it happens. But it isn&apos;t necessary to take off for years and sail to the South Pacific (or wherever) in order to have a good time. Weekend or longer cruising in nearby waters can be great. However, if you want to cross oceans, there are good boats to do this. They&apos;re usually much more expensive, but this you should expect. We have friends who&apos;ve circumnavigated and who&apos;ve crossed to Europe. We know a couple who have crossed to Siberia from Alaska and are on their way south on the "other side" (www.seabirdlrc.com). Our cruising has revolved primarily around the U.S. East Coast, the Bahamas and parts of the Caribbean. You can do this for many lifetimes and never tire of it. Also, many enjoy cruising inland waters, of which our country has such wealth. And there&apos;s no law that says we must go cruising. Some have a great time simply "yachting about" near home. Many buy express cruisers while they&apos;re still in their preretirement years because they don&apos;t have time for slow boats. They might plan to buy a longer-range boat as they get longer in the tooth. But frequently we&apos;re seeing these same people hold on to their express cruisers - some because they can&apos;t afford another boat, some because they like this type of boating. Assessing your risk tolerance is a starting point. Obviously, crossing oceans and going far distances can greatly increase risks. They include severe storms at sea, breakdowns that are extremely expensive because of the remote area where they occur, medical problems and injuries where there aren&apos;t good medical facilities, and entanglement with legal systems that are far different from what we&apos;re accustomed to. They also include the risk of not being there for a family member who needs us. These and other risks are worth it to some but maybe not to you. And your risk exposure and risk tolerance will probably change as you move from, say, your late 40s to your late 60s. The good news is that if you so choose, you can have an incredible amount of cruising enjoyment, regardless of your age, close to home with far fewer risks - or in places in between. Want to live like a Spartan? Recognition of your comfort level is another dynamic, though less critical than a painful death at sea. In earlier days it was considered by many to be "sissy" to not have BO at sea. In one cruising book I read long ago, there were instructions for taking a sponge bath from a teacup. Today not many of us are interested in living like that - and if one of a couple does, I&apos;ll bet the other stays upwind. But creature comforts on a boat must be purchased and maintained. When Mel and I began, a large part of our enablement was that we were very self-sustaining. 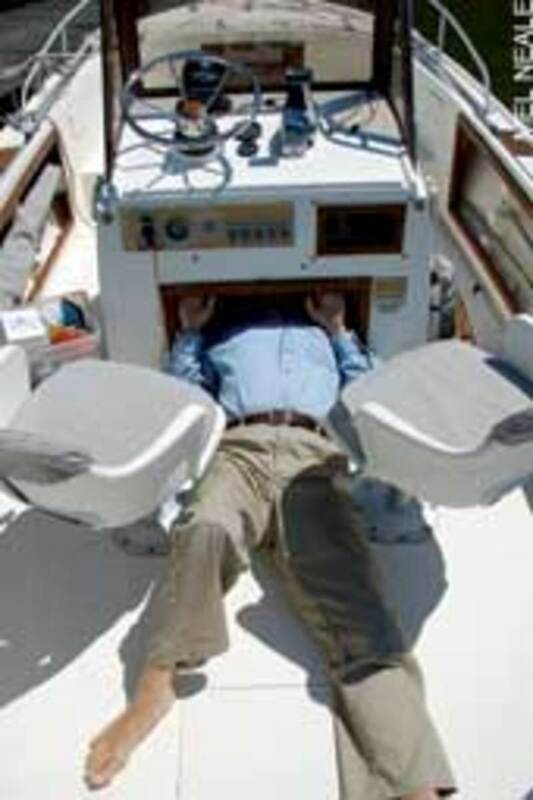 I did (and still do) most of the mechanical maintenance, from repairing diesels and outboards to watermakers, electrical and plumbing systems, and, yes, the damn heads. This is a practical concept, and it gives you a good feeling, but there are other feelings as time goes by. As we get older, it hurts more and more to turn a wrench and get your body into and out of those tight little holes where resides whatever it is that&apos;s broken today. Rotator cuffs and knees just don&apos;t work as well as they did before. But it&apos;s easier now to cruise comfortably, whether long- or short-term. It&apos;s been our experience that components that contribute to this, such as watermakers, generators, stabilizers and refrigeration systems, have become more reliable and, relatively speaking, less expensive. But there is still the maintenance issue. Things break more readily on a boat than in a house. Therefore, we must decide how much we want to work on those things that break. We can choose the extent, from occasionally turning a screwdriver to major engine repair and more. For reasons I&apos;ll mention below, it&apos;s important to have some idea how much you want to do before you get into it. But keep in mind that if you plan to cruise beyond highly civilized areas you might have to fix it yourself because there&apos;s no one around to do it for you. What kind of boat fits my dream? The issue of preferred comfort level, as well as many others, brings us to the preferred boat issue. It no longer requires a very large boat to have good air conditioning, refrigeration, watermakers and other comfort components. But if you&apos;re going to work on them yourself, the boat and its spaces must be large enough to give good access. If you plan to (and can afford to) hire others to do all your work, better access also means cheaper bills. I once saw a boat in which the refrigeration compressor had to be removed to change the impeller in the engine raw water pump. I&apos;ve seen many modern boats where comfort components were shoehorned into inaccessible spaces during the building process before the deck had been put on. When you board that boat at the show, unless you&apos;re savvy about this issue, all you notice are the great comfort features. But the supporting machinery will break, and someone will have to access it - and they won&apos;t be removing the deck, you hope. So unless you want to cruise very close to repair yards and pay a lot of money for machinery maintenance, look at the machinery spaces before you buy. The question of how far and where you want to cruise also affects the boat you choose. Some builders, such as Nordhavn, say their boats are built for crossing oceans. The couple who crossed the North Pacific are on a Nordhavn. Other boats are clearly intended for inland waters. There&apos;s a huge difference between these types of boats, and the price should reflect it. 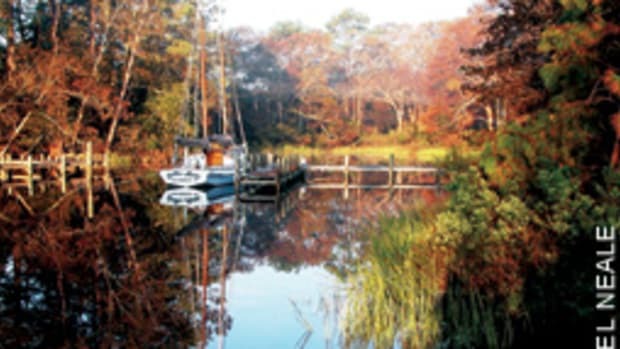 Some boats are marketed for inland waters as well as short ocean trips in calm water. But you seldom have a guarantee that the ocean will remain calm once you get out there, so you&apos;ll buy something more seaworthy for the purpose than, for example, a houseboat built for a small lake. A boat must be seaworthy for its intended use and far beyond because we never know for sure what the weather and water will do. In my view (and I&apos;m sure some will disagree) I&apos;m seeing more and more boats that I don&apos;t think are seaworthy for their purpose. I believe that this is attributable, in part, to the desire of some manufacturers to build boats people can afford. They push the envelope on what they can safely get by with. But if they&apos;re wrong, you&apos;re going to be the one in the sinking boat. 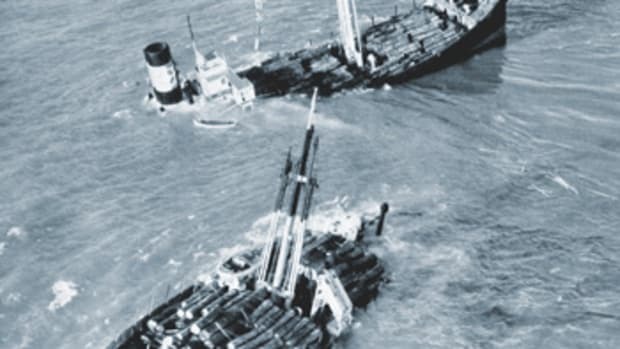 In the March issue of Soundings, I discussed a few seaworthiness issues. 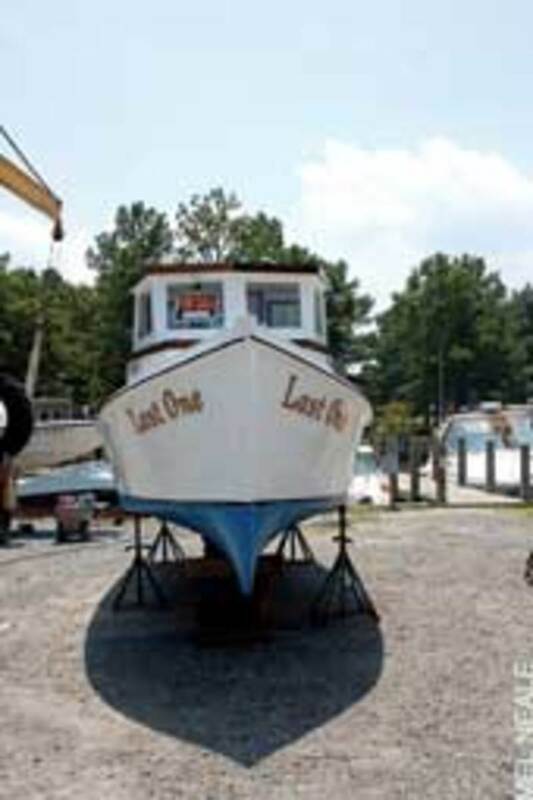 An in-depth discussion of what makes a seaworthy boat is beyond the scope of this article. Usually a good start is to find a good surveyor who&apos;s not beholden to the broker or dealer. 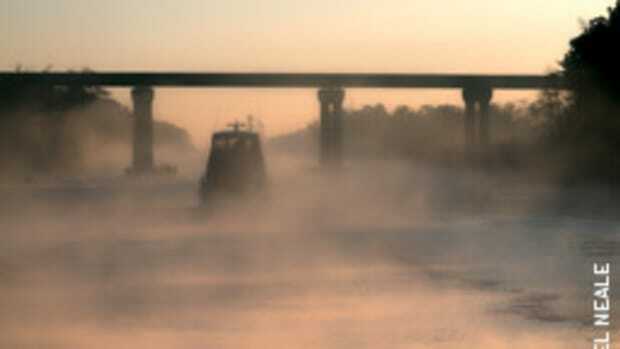 The speed you want to travel also affects the boat you choose. Speed is far more important than how early you can begin cocktail hour. If you want to venture into open waters (and most of us do), speed can help to ensure that those waters remain calm while you are out there. But some fast boats are far too flimsy to go fast and survive in rough seas. Again there are tough decisions to make. 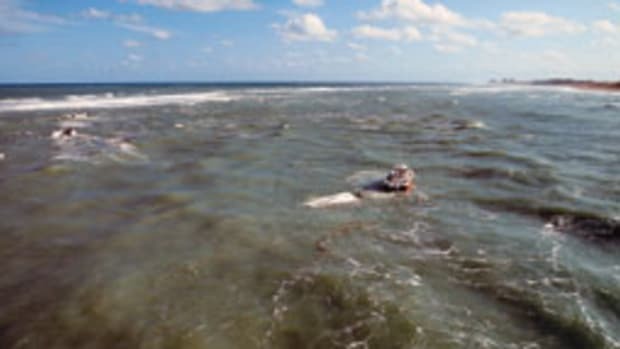 A large sportfishing boat recently left a marina near us at 5:30 a.m. His destination was Cat Island in the Bahamas, and he planned a leisurely trip, taking two days to get there. If I were going there on my boat, it would have been more likely to take me a week or more rather than two days if the weather was good. The weather is perhaps the most powerful influence on any type of boating, and it should play a major role in your choice of boat. 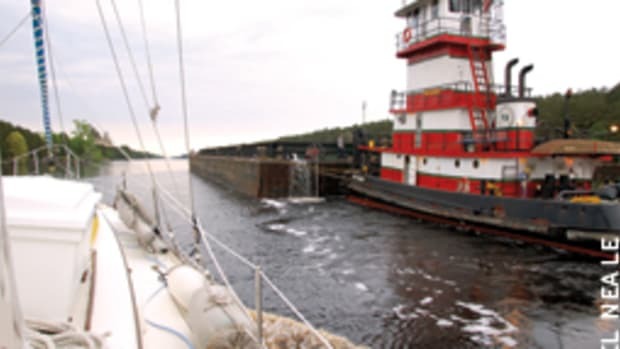 Even if you&apos;re just going for day trips, your boat should be able to safely withstand unexpected storms and the conditions you might encounter in the waters where you go. This becomes more of an issue if you plan to make longer trips, particularly if cruising. Some say that a tough, well-found sailboat or trawler with a tough crew can handle bad weather much better than a fast planing boat - that the displacement hulls can just plow through it. Usually those who say this haven&apos;t done much plowing. And I&apos;ve seen many a tough planing boat, particularly of the sportfish variety, that has proved to be very durable in very rough weather, assuming that the person at the helm knows how to run the boat. The issue of weather windows should be considered when deciding what type of boat you want. When I cross to the Bahamas I need a good window of at least two days to get to a place, well east of the western boundaries, where I like to anchor comfortably and safely without having to pay a fortune for a marina. But I&apos;ve had enough things go wrong on my passages through the years to expect things to go wrong. Therefore, I don&apos;t want to take off on a trip that requires a two-day window when the window is likely to slam shut on the third day. I want a buffer zone. Then I need additional weather windows of at least two days at a time to get to where I ultimately want to hang out. At a faster speed I would have more opportunities to go because I wouldn&apos;t need such long weather windows. I&apos;ve spent unexpected weeks hanging on for dear life behind some rock, waiting for an unexpected gale to die. If you&apos;re not attached to shoreside ties, the delays involved in waiting for weather windows may not be as important to you. But if you have grandchildren, ill parents or active business interests, you&apos;re less likely to want to be stuck in the limbo of slow passages. If you&apos;ve decided on a slow boat, you then have the question of sail or power. People who&apos;ve been sailing all their lives suffer at the thought of giving it up. We&apos;ve almost given it up several times, but each time we decided we just couldn&apos;t do without the magic. And we realize that as we push our bodies less, we start losing our abilities. But being on the water isn&apos;t like being in the gym. It can rise up and swallow you whole. And as many age, handling a sailboat becomes more and more difficult. I realize that there are some newer sailboats (and powerboats) that are promoted as essentially joystick-controlled. But give me a break - which is exactly what those buttons and joysticks may do when you need them the most. In my view, if we want to play computer games we should buy a nice armchair. 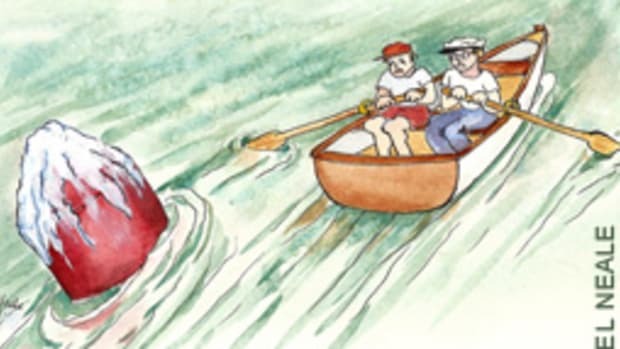 Boating without the skills and abilities of seamanship, which must be acquired over time, is a certain route to disaster. However, don&apos;t be discouraged if you want a sailboat but your experience is only with powerboats. The learning curve for sailing might be steep, but there are some very good learn-to-sail-and-cruise schools that can get you into it. If you decide on sailing, resign yourself that when you&apos;re trying to get from point A to a distant point B while cruising, you&apos;re probably going to be mostly motoring. However, once you get to point B, you have that beautiful option of wind power. Powerboat cruising offers the faster boat options discussed above and sometimes more creature comforts. Usually the spaces are roomier because of basic hull line differences. Power also includes the vast world of trawlers, which are an ideal compromise for many. They&apos;re relatively spacious and comfortable, usually have good access for components and take less effort to run than sailing. They range from round-the-world muscle boats to short-range price boats. There are also compromise powerboats, such as semidisplacement hulls, that are designed to travel well at different speed ranges. Some of these don&apos;t do well in either range, but thorough sea trials can tell you. A motorsailer, as my boat is, would be a good compromise for many. She averages around 9 knots cruising under power, although she&apos;ll go faster. She easily passes most trawlers. With her 200-hp diesel she cannot only make that speed, but she also has the power to maintain that speed in adverse sea and wind - an important feature that many boats don&apos;t have, particularly trawlers with blunt bows and sailboats with small engines. She has all of the creature comforts you could want on a boat, with an engine room and good access. If you&apos;re in your 40s, what you want today may not be what you want 10 or 20 years from now. You may need to reach destinations quickly and seldom stay out more than a weekend. Sailing to Bora Bora with body odor and no money on a Westsail 32 may not work well with teenage kids, business demands and social obligations. The answer appears easy: Get another boat or two as your circumstances change. But this plan is usually very costly. You may not be able to afford that other boat as you reach retirement. And you must sell your current boat. That could be quite a hassle and will normally be at a significant financial loss. Investing in boats is about as sound as investing in Fannie Mae futures. There&apos;s much to be said for having a boat that&apos;s a sound, reliable, flexible platform, fixing it up the way you like it and making modifications through the years to suit your lifestyle changes. An invaluable added attraction is that by the time you retire you&apos;re intimately familiar with your boat, its systems and how to make it serve you well. A downside of this concept is that there are limitations as to what any one boat can do. You can&apos;t turn a sportfishing fast machine into an ocean-crossing trawler. So you&apos;re still stuck with analyzing where you fit into all of the spectrums we&apos;ve discussed, from financial ability to comfort levels and more, and projecting this into the future. But, hey, that&apos;s what we have to do with everything at this stage of life. The only difference is that this stuff is truly important. It&apos;s about boating. Since age 9, I&apos;ve had many skiffs, a speedboat, an 18-foot Seafair Sedan, four cruising sailboats/motorsailers, a fast center console, kayaks, sailing skiffs and more. Mel cruised with her family on a rebuilt modified 1938 Matthews 38-foot cabin cruiser. We&apos;ve traveled thousands and thousands of miles on the water in many kinds of boats. In the early days, when all we did was hang out around Chesapeake Bay, getting somewhere in a reasonable time wasn&apos;t an issue because "somewhere" wasn&apos;t far away and we had fewer ties to shore. Our Tartan 27 was ideal. But now we miss our daughters, who are living and working ashore, and our granddaughter (and a grandson on the way). We also still need to keep in touch with business issues. And it seems to hurt more than ever when I get one of my ball-and-socket joints caught in a V-belt. We want the ability to make more destinations quicker. We love Chez Nous and the type of boat she is. We&apos;ve worked very hard to make this lady just right for us, but we&apos;ve also made passages on planing boats and thought it was great. So we&apos;re beginning to think that at this stage of our lives we&apos;d like a boat that&apos;s faster and smaller than our motorsailer. This boat would burn more fuel, but maybe it would be worth it to have the option of speed. We&apos;re thinking about selling our present Chez Nous to downsize and up-speed, not because we want to but simply because our lives are different. We know we&apos;d lose a lot. We&apos;ve improved and maintained this boat as few could ever do because we&apos;ve been doing this for so long. And because she&apos;s a 1975 boat she was built incredibly tough yet wouldn&apos;t be very expensive to buy (hint, hint). We&apos;d lose the sailing rig, but we could continue sailing in a sailing skiff that we would keep aboard. But that&apos;s us - we think. You might be different. We&apos;ve learned that just being on the water is the ultimate high, not necessarily the type of boat you&apos;re in, although it&apos;s critical that you get what&apos;s best for you and your time of life. It depends on who you are, what you do and how you want to do it. There are so many options. Whatever - there&apos;s a boat that should work well for you. Tom Neale is technical editor for Soundings and lives aboard a Gulfstar 53 motorsailer. You can buy his book, "All in the Same Boat," and his two-disc DVD, "Cruising the East Coast With Tom Neale," at www.tomneale.com.